Kyle M. Dunn, Director of Financial Strategies at Clear Path Financial. 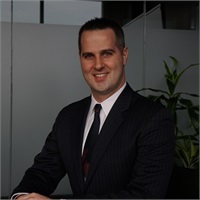 Kyle began his career in the property and casualty market and eventually began working closely with business owners, individuals and families. Within this market, Kyle has found a passion to help his clients make a difference that will last generations. As an insurance professional, Kyle assists his clients with their planning needs by focusing on simplifying the process, educating on how whole life insurance can supplement retirement income streams. In conjunction with other advisors, Kyle is able to offer clients an array of solutions based on their individual needs and goals. Kyle graduated from Juniata College in Huntingdon, Pennsylvania, and continued his education, receiving his MBA in 2012. As a Pennsylvania native, Kyle grew up in Doylestown, PA where he still lives with his wife, son Brayan and black lab. He has an appreciation for cars (both classic and current) and audio visual equipment.